Curcumin is an extract of turmeric that has been shown to break down amyloid-beta plaques (a hallmark of Alzheimer's disease) in lab-based (in vitro) studies. 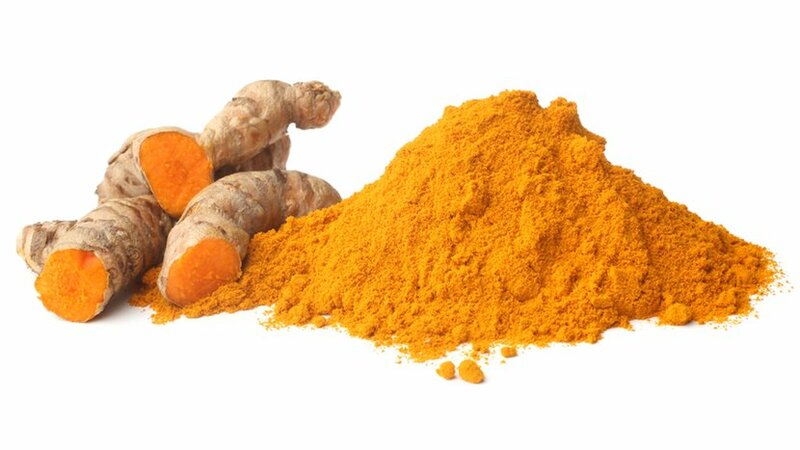 Turmeric is not easily absorbed and there is no real evidence that supports turmeric being used as a treatment for Alzheimer's disease, but the specific effects by curcumin on amyloid-beta plaques could be a useful target for future investigations into potential treatments. Can curcumin break up amyloid-beta plaques? There is a lot of research into the potential role of turmeric as a treatment for Alzheimer's disease, along with some anecdotal evidence about its benefits. Much research is centred around curcumin, a chemical found in turmeric, which has been shown to have anti-oxidant, anti-inflammatory and anti-amyloid properties. Though research has shown that curcumin could prevent the formation, and even break up the amyloid-beta plaques associated with Alzheimer's disease, similar results have not been found in clinical studies, and the way that curcumin could work within the brain is unclear. Another chemical in turmeric that has been studied in the lab is turmerone. In animal studies tumerone has been shown to stimulate stem cells to make new brain cells, something that could in theory help with neurodegenerative conditions like Alzheimer's disease. However, these experiments are in their infancy and we do not yet know whether turmerone would have the same effect on stem cells in people. We also don't yet understand whether stimulating the production of new brain cells is a useful approach for people with dementia. Though there is a significantly lower rate of Alzheimer's disease amongst Asian populations that have diets high in turmeric, it seems unlikely that turmeric itself is responsible for this. The limited clinical trials conducted do not support the findings of the in vitro (lab-based) studies. Turmeric and curcumin are not easily absorbed into the body and tend to be broken down quickly, so are not readily available to be used in biological processes. This means the levels of turmeric you would need to consume to match the levels cells were exposed to in test tube experiments would be exceptionally high. It also makes developing drugs based on turmeric activity very difficult, though the evidence suggesting that turmeric may be beneficial when in the brain will make it a target for future research. Thanks for your nice sharing!